CAMBRIDGE – Have the tech giants – Amazon, Apple, Facebook, Google, and Microsoft – grown too big, rich, and powerful for regulators and politicians ever to take them on? The international investment community seems to think so, at least if sky-high tech valuations are any indication. But while that might be good news for the tech oligarchs, whether it is good for the economy is far from clear. To be fair, the tech sector has been the United States’ economic pride and joy in recent decades, a seemingly endless wellspring of innovation. The speed and power of Google’s search engine is breathtaking, putting extraordinary knowledge at our fingertips. Internet telephony allows friends, relatives, and co-workers to interact face to face from halfway around the world, at very modest cost. There are many reasons for slow productivity growth, not least a decade of low investment in the wake of the 2008 global financial crisis. Still, one has to worry that the big five tech firms have become so dominant, so profitable, and so encompassing that it has become very difficult for startups to challenge them, thereby stifling innovation. Sure, once upon a time, upstarts Facebook and Google crushed Myspace and Yahoo. But that was before tech valuations soared into the stratosphere, giving entrenched players a massive funding advantage. Thanks to their deep pockets, Big Tech can gobble up or squelch any new firm that threatens core profit lines, no matter how indirectly. Of course, an intrepid young entrepreneur can still spurn a buyout, but that is easier said than done. Not many people are brave enough (or foolish enough) to turn down a billion dollars today in hopes of much more later. And there is the risk that the tech giants will use their vast armies of programmers to develop a nearly identical product, and their vast legal resources to defend it. Big Tech firms might argue that all the capital they pour into new products and services is pushing innovation. One suspects, however, that in many circumstances the intent is to nip potential competition in the bud. It is notable that Big Tech still derives most of its revenues from its companies’ core products – for example, the Apple iPhone, Microsoft Office, and the Google search engine. Thus, in practice, potentially disruptive new technologies are as likely to be buried as nourished. True, there are successes. The remarkable British artificial intelligence firm DeepMind, which Google purchased for $400 million in 2014, seems to be plowing ahead. DeepMind is famous for developing the first world champion-beating Go program, a signal moment that reputedly sparked the Chinese military to start an all-out effort to lead in AI. But, by and large, DeepMind seems to be the exception. The problem for regulators is that standard anti-monopoly frameworks do not apply in a world where the costs to consumers (mainly in the form of data and privacy) are thoroughly non-transparent. But that is a poor excuse for not challenging relatively obvious anti-competitive moves, such as when Facebook purchased Instagram (with its rapidly growing social network) or when Google bought its map competitor, Waze. 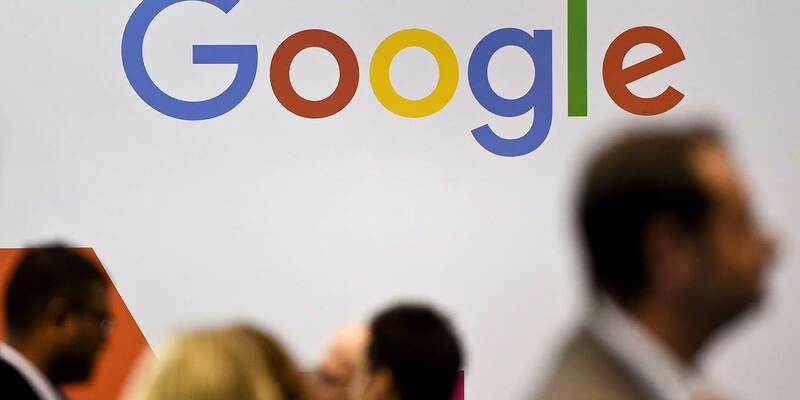 Perhaps the most urgent intervention is to weaken Big Tech’s grip on our personal data, a grip that allows Google and Facebook to develop targeted advertising tools that are taking over the marketing business. European regulators are showing one possible path forward, even as US regulators continue to sit on their hands. The European Union’s new General Data Protection Regulation now requires firms to allow consumers – albeit only those in the EU – to port their data. In their important recent book Radical Markets, the economists Glen Weyl and Eric Posner go one step further and argue that Big Tech should have to pay for your data, instead of claiming it for their own use. Whereas the practicality of this remains to be seen, surely individual consumers should have a right to know which data of theirs is being collected and how it is being used. Of course, the US Congress and regulators need to rein in Big Tech in many other key areas as well. For example, Congress currently gives Internet-based firms a veritable free pass in promulgating fake news. Unless Big Tech platforms are held to standards that parallel those applied to print, radio, and television, in-depth reporting and fact-checking will remain dying arts. This is bad for both democracy and the economy. Regulators and politicians in the homeland of Big Tech need to wake up. The prosperity of the US has always depended on its ability to harness economic growth to technology-driven innovation. But right now Big Tech is as much a part of the problem as it is a part of the solution.